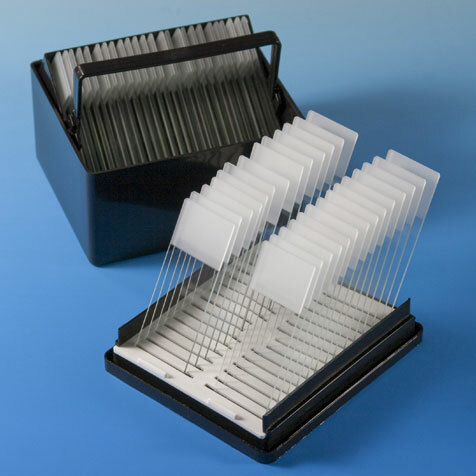 Lid includes slots to hold up to 25 slides upright for drying. 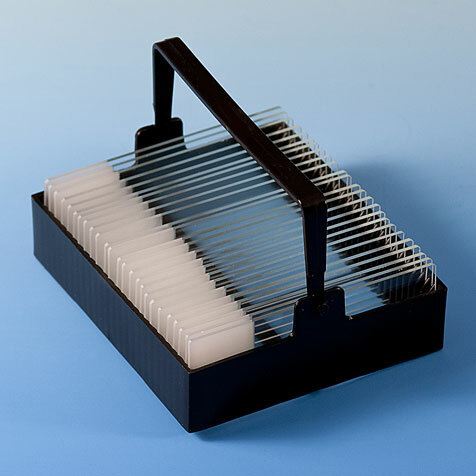 Designed for use with slide staining rack #513220. 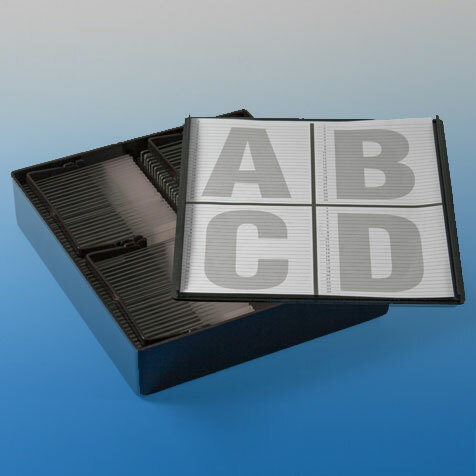 Note: Microscope slides sold separately.